Bullets Guide – There are a lot of different kinds of ammo out there. Our guides breaks down the difference between caliber, cartridge, rounds and bullets. It’s a bit long but our writeup covers literally everything you need to know about the different bullet types. Best .40 Ammo – There are a bunch of different companies making ammo for the .40, our guide will help you find which one is best. Best 9mm Ammo – There are a lot of different companies offering 9mm ammo. You’ll need to know what you’re using it for to find the most effective brand. Best 22LR Ammo – .22 LR ammo can be notoriously finicky, but we go over the highest quality options in this article. Best 45 ACP Ammo – Just like the name says, 45 ACP ammo is a popular choice for self defense and for rightful reason – it’s a serious powerful cartridge. Our guide will help you understand the different brands and explain which one is good for the range and which one good for home defense. Rifle Caliber – Ever wonder what makes rifle caliber different from handguns? This post covers the details of rifle caliber and how to find the best one for the job. 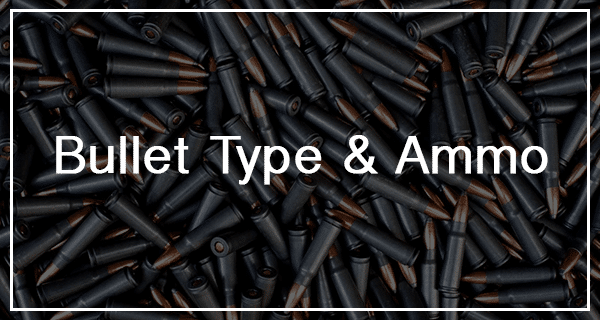 AR 15 Calibers – If you’re going to be an AR-15 enthusiast you’ll need to understand how the different calibers work and how to pick the right kind of ammo for the job. Best Shotgun Ammo for Home Defense – Slugs, Buckshot or Pellets – what’s the difference? Corrosive Ammo – If you’re buying discount ammo there is a good chance you’ll pick up a few corrosive rounds. You’ll want to avoid these at all costs. We’ll show you how to avoid corrosive ammo and what to do in case you buy some. Demystifying Shotgun Shell Terms – There are 3 kinds of shotgun shells with different cartridge types and makes. Find out which one is best for what. Handgun Caliber Guide – Like our epic bullet guide, this article covers the different bullets, caliber and cartridges for handguns wide and far. Best Deer Hunting Calibers – When you’re trying to take down a king buck, what’s the best ammo? We evaluate the top 10 options on the market today. 6.5 Creedmoor VS 6.5 Grendel – These are viable options for the avid shooter who needs an edge when it comes to competitive target shooting or big game hunting. .45 ACP VS. 10MM – Two of the biggest, fattest and heaviest semi-auto handgun cartridges on the market against each other: the venerable .45 ACP, a military sidearm caliber which has continually withstood the test of time; and the relatively newer but nonetheless respectable 10mm, the parent cartridge of the .357 SIG and the .40 S&W. .308 Winchester VS. .30-06 Springfield – Both rounds are highly versatile and an excellent choice for big game hunting. A survival rifle chambered in either .308 or .30-06 would likely be equally effective for general purpose use. 300 Blackout vs 308 Win – One of its primary competitors in the 30 caliber realm is the 308 Winchester. The 308 is a few decades older than the 300 Blackout round and evolved from the classic 7.62 NATO cartridge. .17 hmr ultimate guide – The .17 HMR or the .17 Hornady Magnum Rimfire came on the scene in 2002. It’s suitable, famous and it’s also one of the more detailed rimfire cartridges you can buy. Xtreme Bullets – What makes X-Treme bullets a better ammunition choice for hunters and target shooters? Read on to find out! .243 vs .308 – We check out the often overlooked .243 caliber and compare it to the much more well known .308. 5.56 vs 7.62 – 5.56x45mm or 7.62x39mm: which caliber do you need? Read on to find out! 357 magnum – What specific ammo do you need for your .357 revolver? Find out here! .38 special – The best specific ammo chocies for your .38 Special revolver. 300 Blackout vs 308 – We discuss the relatively new .300 Blackout round and how it compares to the much more traditional .308 Winchester caliber. Beginner’s Guide to Reloading – Reloading is the art of making your own bullets either out of new casing or recycling old casing. You’ll find that anyone who has been involved in shooting for a while either tries reloading or is a big supporter of it. 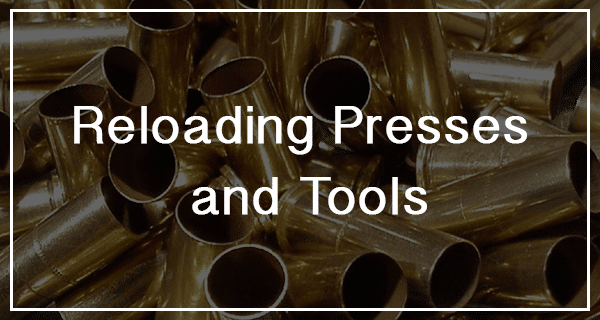 In this guide we walk you though the basic elements of reloading to give you a better understanding of how it works. Reloading Press – Reloading presses come in two flavors – single and progressive. Our guide explains the different presses and how to operate each one. You’ll definitely want to pay close attention to our top picks because Chris Browning (the writer) has been reloading bullets for over twenty years and has a wealth of experience on the subject. 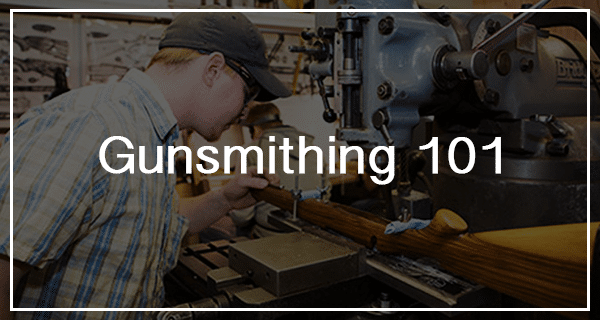 GunSmithing Tools – We looked at all the tools you’ll need to gunsmith at home. These are necessary components of any effective gunsmithing workshop. Luckily, most of them are available online. Best Way To Store Ammo – News flash: ammo doesn’t have an infinite shelf life. Learn how to extend the shelf life of your ammo as much as possible to get the most out of your investment.